Shaven heads mean different things to different people, different cultures. In North India, at least, babies' heads are shaved for their 'mundan' ceremony. Sons often shave their heads as part of the mourning rituals for their fathers. Buddhist monks and nuns have shaven heads. In the milieu in which I grew up, it was rare to see a woman with her head shaved. Persis Khambatta's beautiful bald head in Star Trek :The Motion Picture (1979) made a huge splash in our world. Sinead O'Connor was another bald woman whom I was vaguely aware of. Over the years, though, the frequency of my sighting of female bald heads has increased. 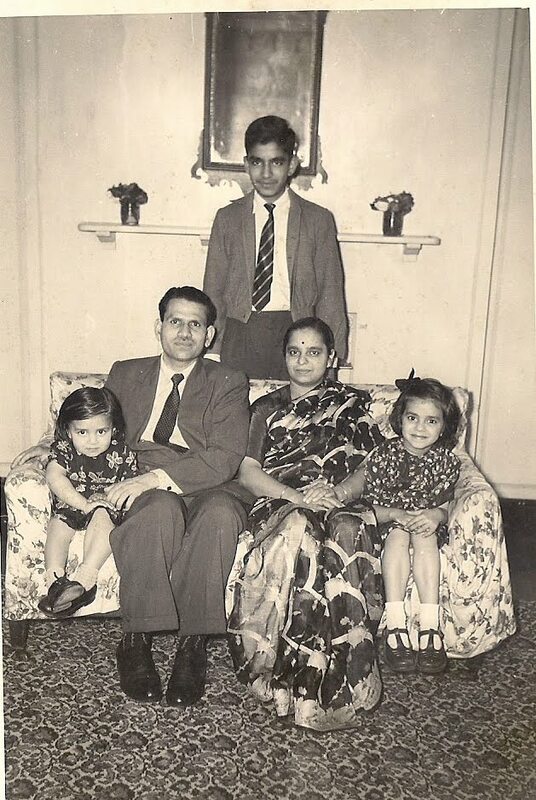 In the mid-nineties we moved down South, to a different city and a life which seemed quite different from the familiar patterns of our life in Lucknow. With the SRE's new position in the organisation, our attendance at large, official parties became more frequent. At one such party, I encountered a petite, elegant woman of indeterminate age, with a shaven head. She had gone to Tirupati and had had her head shaved there, much to the chagrin of her husband. We had a great conversation about all kinds of things, and I thoroughly enjoyed the evening and her company. A few months later there was yet another, bigger party. I saw an elderly woman with short grey hair, whom I simply could not place. She seemed so familiar, but for the life of me I just could not place her. As soon as my head touched my pillow that night, I suddenly realized that it was my erstwhile bald friend!!! I was terribly abashed and annoyed with myself for a) not recognizing her and b) missing out on some lively, stimulating conversation. Our next encounter was at a friend's home. As soon as I saw she entered the room, I went up to her and profusely apologized to her for not recognizing her with her hair!!! In the interim I found more bald women in my life. 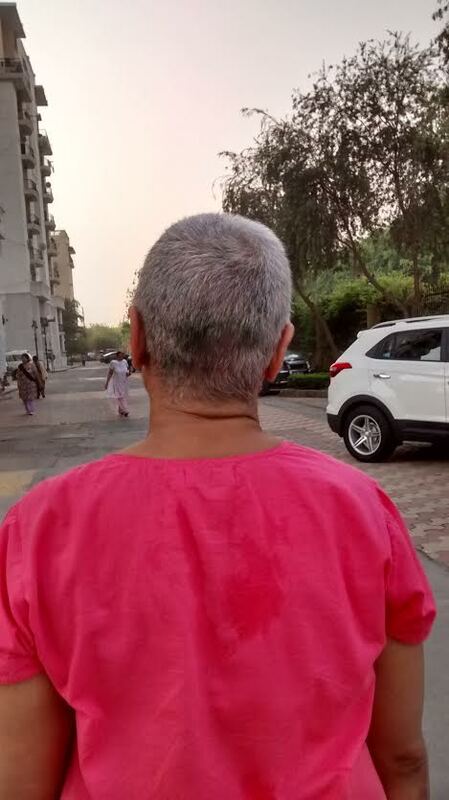 A college friend who also had her head shaved in Tirupati, a school friend who had lost her hair due to chemotherapy for breast cancer, other friends who were cancer survivors. These were the two standard reasons for their bald heads. Although it may seem as though I'm going off at a complete tangent, my critique of the NCR's female morning walkers is germane to this narration. Even when we lived here some fifteen years ago, they seemed to be a notoriously unfriendly bunch, and even now, their general demeanour is blinkered, and eye contact is to be avoided at all costs. Some months ago I discovered a kindred soul, who actually looked me in the eye and smiled at me on our second or third encounter. It helped that she reminded me of a young friend of our family, with dark curly hair and a wide smile. Over the last few months my walk timings had become very erratic, and I hadn't seen this lady for a while, although I had seen her husband walking alone a couple of times. About a fortnight ago I see a slight, bald figure, approaching me with a smile, and I realize that it is my formerly dark haired 'acquaintance', with whom I have never yet exchanged a word. I instinctively ask her, 'All well? ', and that marks the beginning of our friendship. Like me, she was also most irritated by the general unfriendliness of the walking community in our neighourhood, and was happy to find a kindred spirit. She had gone to Tirupati and had had her head shaved there. Thanks to what we now think of as the blessings of Balaji, we are both delighted with our brand new friendship: something neither of us expected to find in our sixties. We are now happy, regular walkers who are actually walking an extra round or two when we have the time, delighted to find that we have so much in common! How can anybody be unfriendly to you, Dipali? What silly people! Not personal, Sue, it's just the norm out here. Silly, of course. just went through your post,yes divine intervention indeed our having become friends. It's indeed a pleasure to find a kindred soul when I was least expecting to. :) to baldness, friendship and bald friends.